Another transatlantic duo meet for the follow up to their 2017 debut EP. 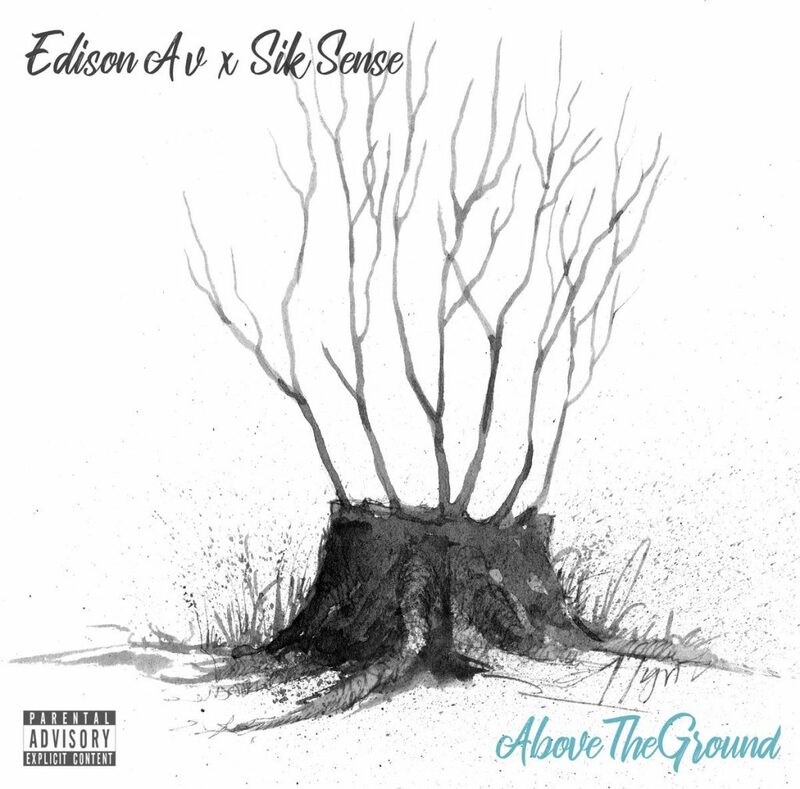 We reviewed Edison Av and Sik Sense’s Above the Ground. Hip hop has no boundaries when it comes to creativity. The second biggest ocean on the planet isn’t the obstacle it once was for artists back in the day thanks to the internet as Edison Av and Sik Sense know all too well. In 2017, they released their debut EP In The Weeds and a year later (sorry, we’re late again) they’re back with a new full-length release. We’ve decided to give this a review but with a slightly different format. We’re breaking it down into its basic components: beats, rhymes, and concept. Let’s begin. We’ve featured Sik Sense before so it comes as no surprised that the beats are top quality. The samples are a diverse mix, from old jazz to soul and classical. The latter provoked the biggest reaction in me. Why samples Claude Debussy’s Clair de Lune which happens to be my favourite composition of all time. It holds a special place in my heart so hearing it as a sample threw me off and I wasn’t sure how to feel. The two-bar phrase used was done justice without desecrating the original. Overall, a strong performance on the boom bap front. There’s a tendencies for white rappers to emulate the late 90s/early 00s Eminem tone and flow. Edison Av doesn’t fall foul of that and comes through with his own mix of sarcasm, cleanly pressed lyrics and a “mean streak of quotables”. Edison stretches himself to his own limits on Never Happened, flipping between a 6/8 quick time flow and the standard 4/4. The bonus track Mankind exhibits his talent the best and sets a dank scene over a foreboding beat. Dare I say it but there’s a faint hint of Blu & Exile between these two. It just works. Amongst a sea of boom bap duos in the modern era they might not stand out as much but on their own merits, their quality more than shines through. You might need to give it a few listens to really catch the vibe and quotables you missed before but that’s the beauty of music. A solid debut and I’m looking forward to hearing the next one. If there will be a next one.